We supply to contractors as well as the general public.  We are suppliers of clay stock, clay semiface and clay klinker bricks. Our bricks are suitable for Commercial and Residential Buildings. A-B Bricks are situated in Brentwood Park. We are a Benoni brickworks and we deliver to you. Developed and Hosted by In Touch With The World.